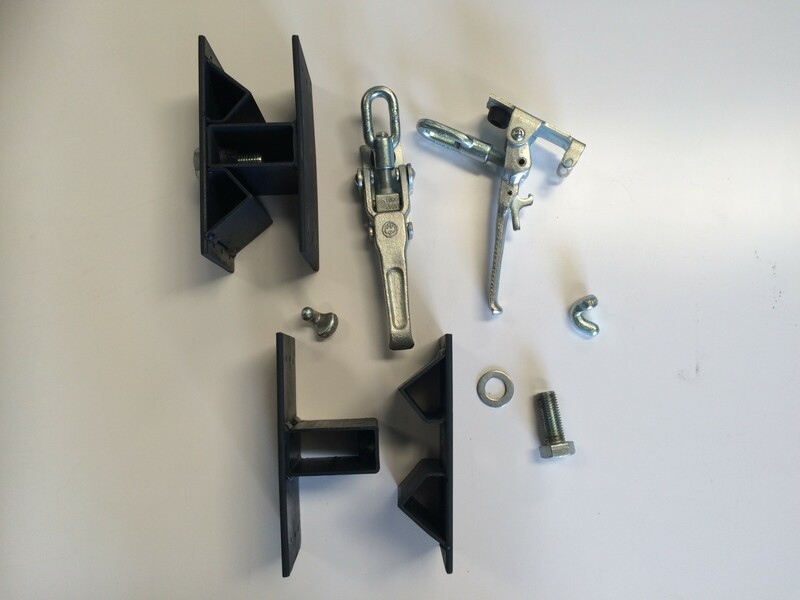 Heavy Duty Locking / Adjustable Zinc Plated Over Centre Catches. These Are The Brackets AJ Horseboxes Use To Lock A Tilting Luton Or Cab Into Place. This Comes As A Set. Within The Set There Is : 2 x Male Plates, 2 x Female Guiding Plates, 2 Over Centre Catches, 2 Small Weld On Hooks, 2 x M20 x 50mm Bolts, 2 x 20mm Washers.